There should be no argument that the deepest events among the high school competition at this weekend's Mt. 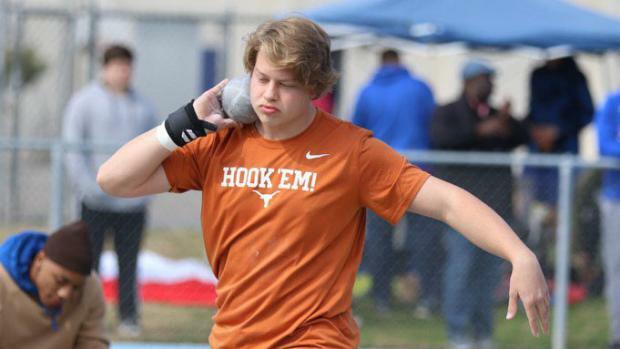 San Antonio Relays are the throws. No event at the 61st Mt. SAC Relays is as stacked as is the invitational boys and girls shot put and invitational boys and girls discus throw. 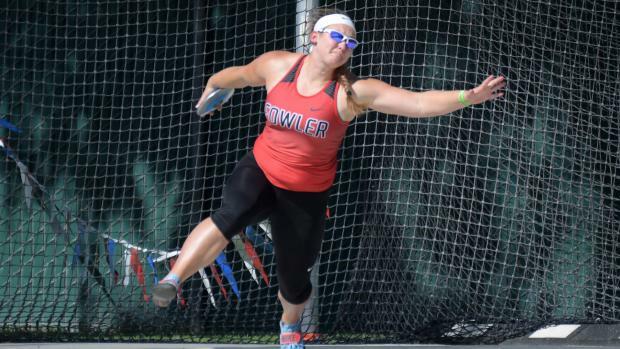 In the girls discus throw, Jocelynn Budwig (Fowler/CS), Faith Bender (Bakersfield Liberty/CS) and Natalie Ramirez (West Ranch/SS) rank 1-2-3 in the U.S. with marks that range from 163-2 to 171-7!! In the shot put, those three -- in Ramirez-Budwig-Bender order -- rank 4-6-8 in the U.S. and Shyann Franklin (Golden Valley/SS) ranks U.S. No. 13. The boys entry list is almost as impressive. In the shot put, Daniel Viveros (Bakersfield Liberty/CS) ranks U.S. No. 1, Jeff Duensing (Anaheim Esperanza/SS) ranks U.S. No. 4 (and U.S. No. 1 in the Class of 2020), and Aidan Elbettar (Newport Harbor/SS) ranks U.S. No. 15. In the discus throw, the Ole Miss-bound Viveros leads the CA parade and is U.S. No. 6. Four others rank among the top 19 throwers in the country: Gino Cruz (Newbury Park/SS) No. 7, Christian Johnson (Buchanan/CS) No. 12, Eibettar at No. 15, and Duensing is No. 19. With so many throwers ranked among the nation's best heading into the Mt. SAC meet this weekend at El Camino College in Torrance, we wanted to take this opportunity to put these nationally-ranked throwers, as well as other elites competing this season, into historical perspective. Viveros, who won the 2018 CIF-State championship in the shot put, has a national-leading 68-11. That mark ranks ninth all-time in CA history, according to state records maintained at www.prepcaltrack.com. Ramirez, bound for UCLA, has a national-leading shot put of 47-05.25. That mark ranks 41st in CA history. Budwig, bound for Auburn, won the 2018 State Meet title in the shot put. She leads the nation in the discus throw with a mark of 171-7. Her 2019 season best falls short of her 174-02 PR from the State Meet prelims last June, a mark that ranks 16th in CA history. What we have below are rankings based on marks in the MileSplit database over the past decade. We rank the throwers first by combined distance and on subsequent pages the rankings are broken down by shot put and discus throw. What we've found is that there are four current throwers among the top 20 in the shot, four among the top 25 in the discus, two girls in the top 20 for shot and four girls among the top 20 for discus. The advantage for throwers from past years is that this is their full-season best while the current athletes still have six weekends to throw farther and rewrite their PRs. The process in building the combined rankings involved searching for the top 500 using shot put as the first data point. Discus throw was then added. The program then discounted anyone without marks in both. Because the list is based on top 500 in the shot, those with a top 500 mark in the discus but not the shot would not have made the list. After weeding out those without marks in both, our total combined throwers rankings for boys in 470. The girls combined throwers rankings is 487 deep.